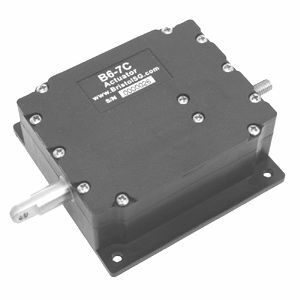 Electric actuator / linear / for aircraft - B6 SERIES - Ray Allen Company, Inc.
Aircraft components > Mechanical component > Electric actuator > Ray Allen Company, Inc. Stand: Ray Allen Company, Inc.
B6 SERIES Ray Allen Company, Inc. 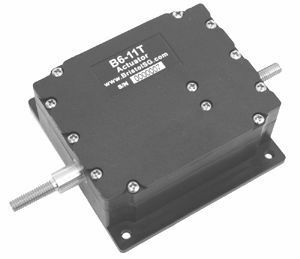 The B6 actuator is a small, powerful 12-14 Volt DC actuator featuring internal travel limiting switches. When activated, the actuator will continue to run until the power is turned off or until it automatically shuts off at the end of its travel. It can also be stopped in any position by switching off the power. Since the thrust is generated by means of a jackscrew, the output shaft will lock in any position when the power is off. Voltage polarity determines the direction of travel.